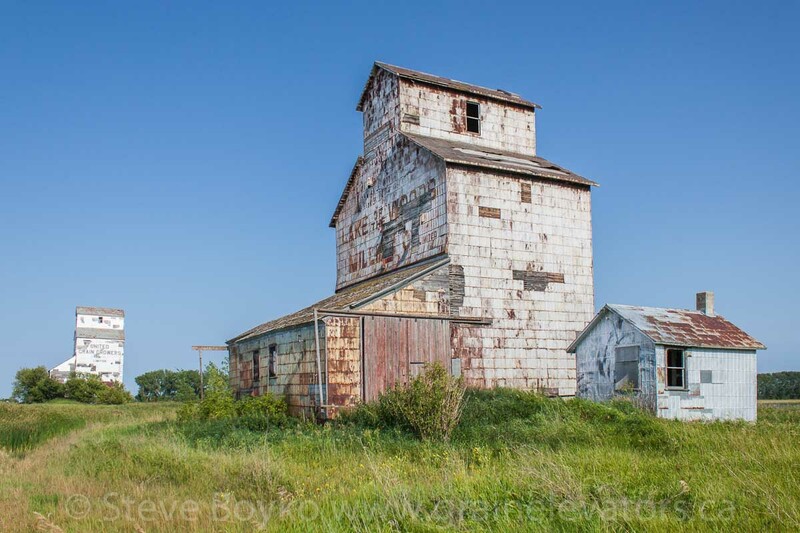 The Lake of the Woods grain elevator in Elva, MB, Aug 2014. Contributed by Steve Boyko. 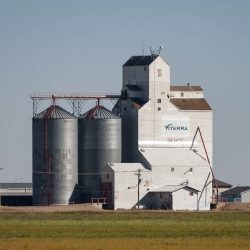 There are three grain elevators in the vicinity of Elva, Manitoba. One of the three Elva grain elevators may be the oldest grain elevator in Manitoba. 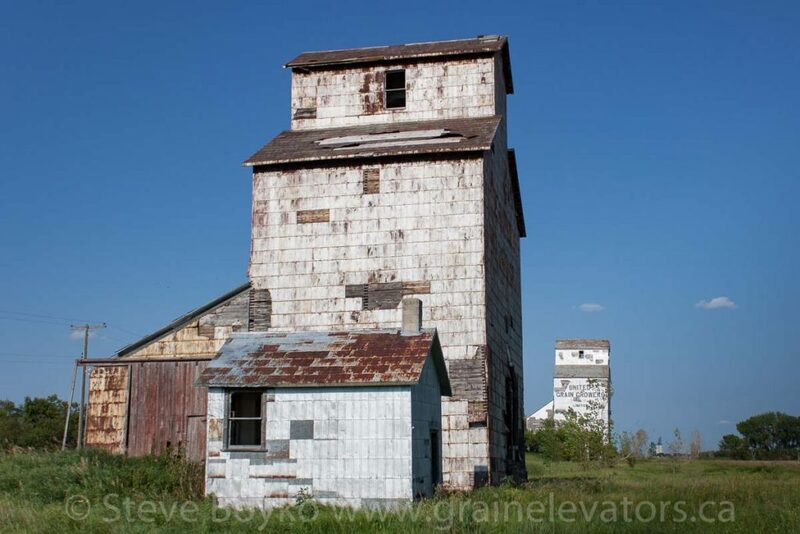 The Lake of the Woods grain elevator in Elva is quite possibly the oldest grain elevator in Manitoba or in the Prairies. It is believed to have been built between 1892 and 1899, and is (barely) still standing. This elevator was at least partially rebuilt around 1950, and was purchased by the Manitoba Pool Elevators in 1959 and closed in the late 1960s. The ex UGG grain elevator in Elva, MB, Aug 2014. Contributed by Steve Boyko. 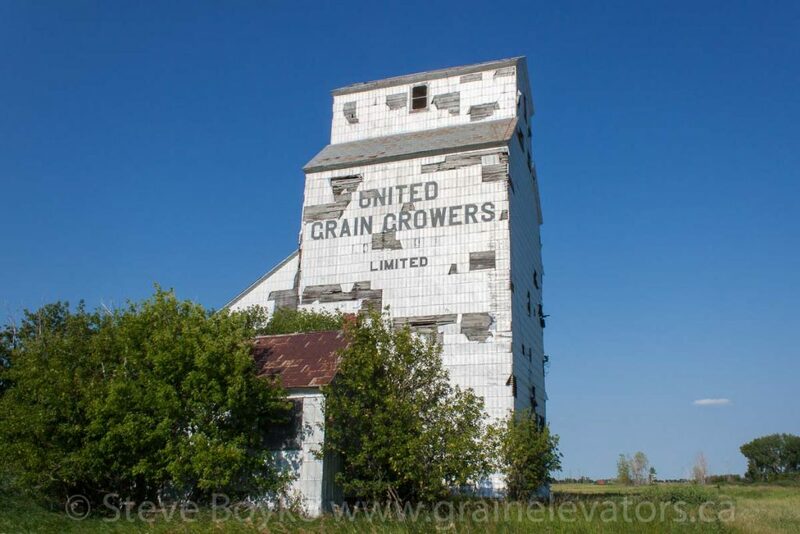 The nearby UGG (United Grain Growers) elevator is also still standing, although there is a large hole in the side of the elevator. This elevator was built circa 1916. 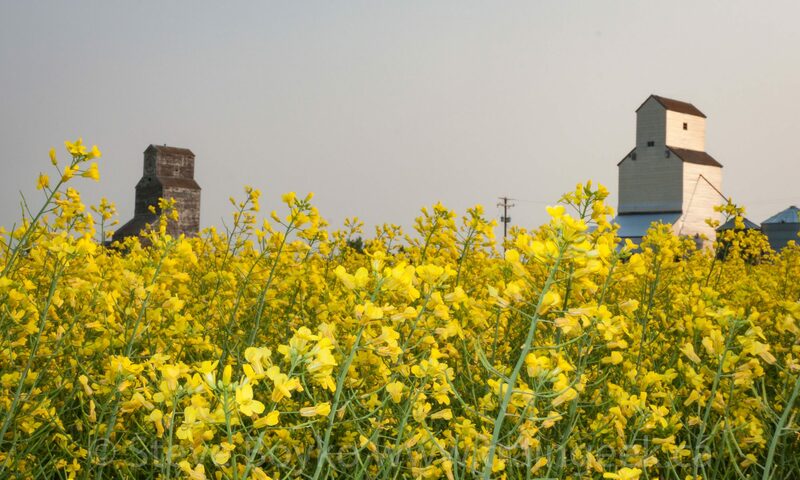 The Cargill grain elevator outside Elva, MB, Aug 2014. Contributed by Steve Boyko. The nearby high-throughput concrete grain elevator was opened in 2000 by Agricore. The grand opening ceremony was held on July 26, 2000. The elevator had a capacity of 14,500 tonnes and 60 car spots. 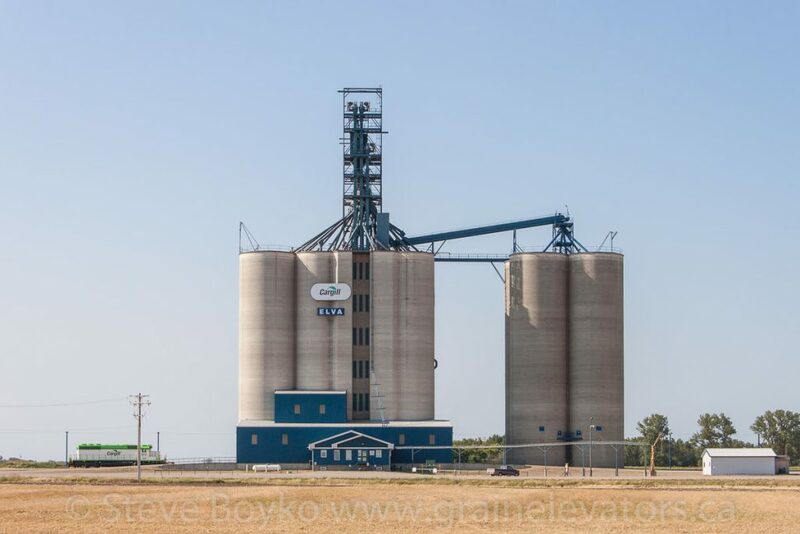 The elevator was purchased by Cargill Limited on July 1, 2007. The facility was expanded around 2014 to a total capacity of 24,500 tonnes. This elevator is served by the CP Estevan subdivision.